The model 1855 cartridge box held 40 rounds of paper cartridges in two tin liners. In 1864 the ordnance department began making them with the U.S. in an oval embossed into the leather rather than as a separate brass plate. 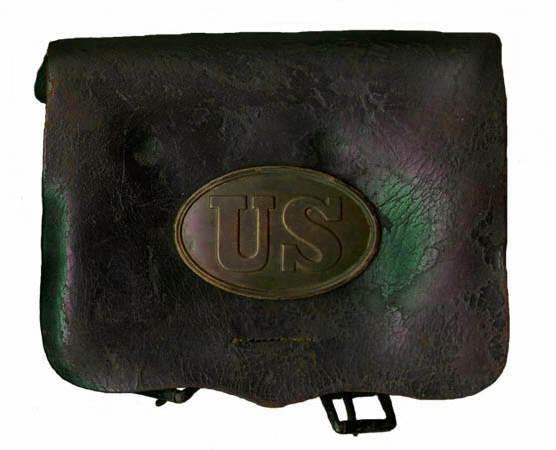 The weight of the box was supported by a black leather cross belt that had a circular brass plate with an American eagle. There was an implement pocket on the inside front of the box.